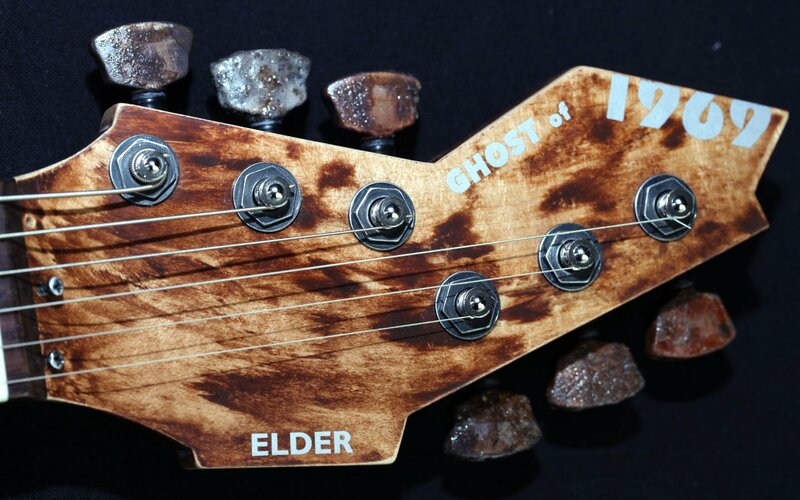 Handmade, one of a kind sound sculpture that belongs to the Ghost of 1969 guitar collection. "...Wrinkled and worn skin. Crackling voice. Patina that holds the collection in place and time. Nostalgic. Wise. Full of values of old. Stay a while, and listen..."
Standing tall and watching over the others is the Elder sculpture. As the wisest and most experienced among them, it is the patina that holds the collection in place and time. The Elder is way past social masks - its entire skin, worn, wrinkled and freckled is on display; it hides nothing.